I found this comment whilst going though my daily Android news. 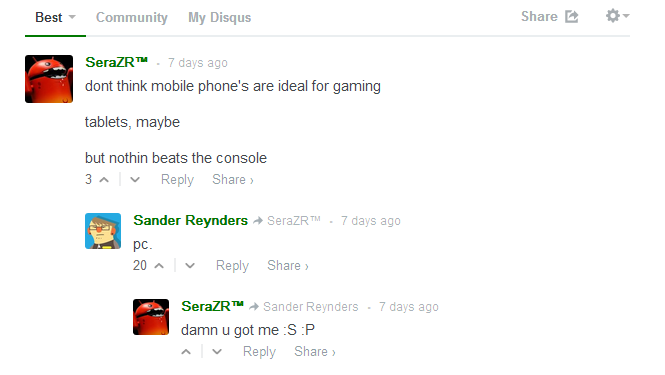 The article was talking about a release of a new game on the Android platform. Most people will think that mobiles and tablets aren't really suited for gaming and that consoles are still better, but who can forget the PC?